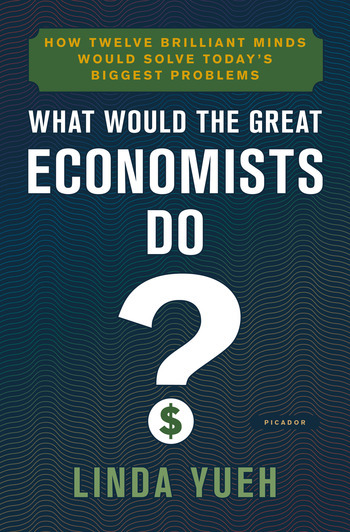 Praise for What Would the Great Economists Do? “A highly accessible and lively evaluation of the global financial crisis through the work of 12 top economists, from Adam Smith to John Maynard Keynes. Yueh…has a way of simplifying the arcane and ferreting out good news—of which we need a lot.” --Newsweek, "Best 50 Books of 2018 (so far)"
LINDA YUEH is an economist, broadcaster, and author. She holds senior academic positions at Oxford University, London Business School, and the London School of Economics and Political Science. She is also a broadcaster and was an anchor/correspondent at the BBC and Bloomberg TV. She is a widely published author and serves as editor of a book series on economic growth and development. Linda's books include What Would the Great Economists Do?, China's Growth: The Making of an Economic Superpower, and Enterprising China.